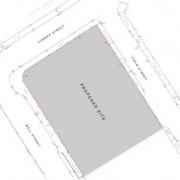 Planning permission has been received for a new residential development on a brown field site within the Roundhay Conservation Area in Leeds. The project involves the conversion of a former electric lighting works to two large apartments together with two new build semi-detached homes linked with the existing building. The proposals are a direct response to the character and setting of the existing building and its positioning on the site. 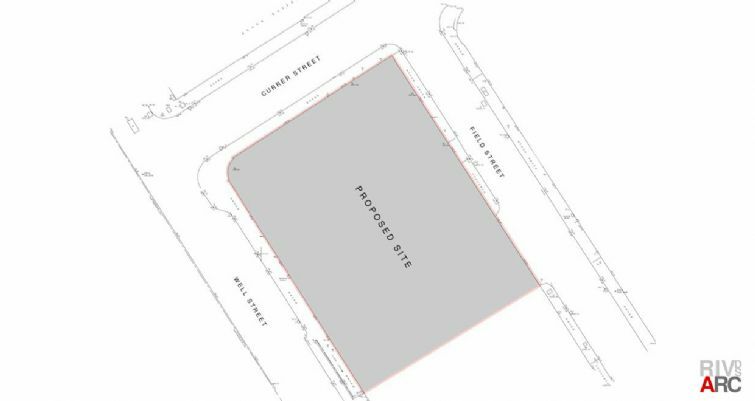 The development will create 4 family homes and involves the demolition of outbuildings and extensions at the rear of the original early 20th century property. All the key internal rooms and spaces are to be retained and new additions are designed as ancillary elements to the existing building. The scheme also retains the majority of the existing landscape setting, improving the garden space and amenity to each of the new dwellings to achieve a more open rear garden aspect in keeping with the overall character of the conservation area. 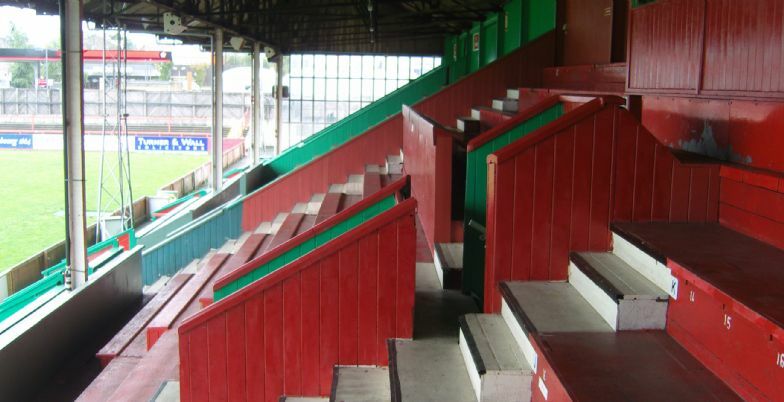 The project will shortly be tendered with a view to starting on site later this year. Proposals for a new orangery for the Moorings Hotel at Hett Hills, close to Chester-le-Street, has recently been given planning permission. The Moorings is a growing family run business overlooking the West Durham Hills. Due to rising demand proposals were submitted for a new 120 cover orangery to cater for larger functions and events such as weddings and christenings. 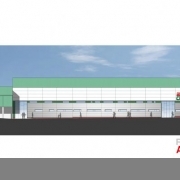 New manager’s accommodation and office are also proposed. The orangery will provide a high quality, modern venue that attracts customers requiring a signature event space. The traditionally light nature of an orangery is treated with a modern interpretation. Set in open countryside the proposals also needed to be of high quality to justify the setting. A predominantly glazed gable will provide a stunning feature to the venue offering views out over the fields. The rhythm of the elevations are accentuated using repeating layers of materials that match those of the existing buildings but in a contemporary manner. 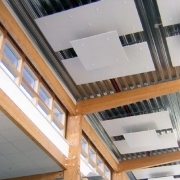 Designed to minimise the use of natural resources and reduce energy demand emphasis is placed on the innovative use of light and space, efficient heating/ventilation design and high performing building envelope as well as overhanging roofs. 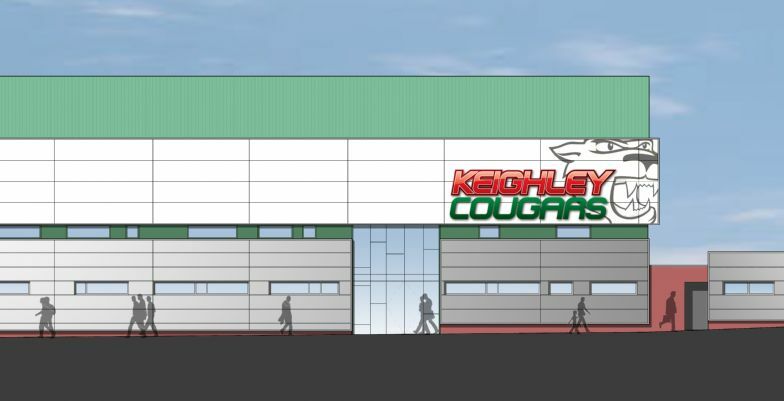 A planning application for the 1st phase of an ambitious multi-million pound redevelopment of Keighley Cougars Rugby League’s ground at Cougar Park has been submitted by Riverside Design Studio Architects. 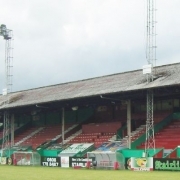 Initial proposals are to rebuild the main stand by completely stripping back the wooden structure to its original steel frame and create new seated terracing with new changing rooms, education facilities and function suites below as well as refurbishment of the adjacent single storey gymnasium. 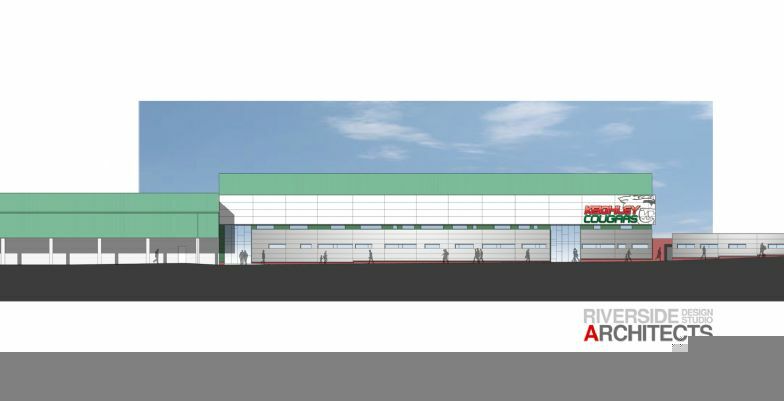 Riverside have worked closely with the club, construction professionals and the Council over the plans. 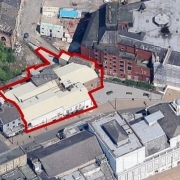 Riverside Design Studio Architects will shortly be submitting a planning application for exciting new proposals to turn derelict nightclub premises on Great Horton Road in Bradford into a contemporary new student accommodation complex. 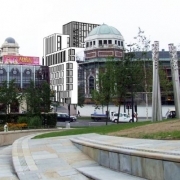 We believe the proposed development, which nestles between the Alhambra Theatre and Odeon Cinema, will bring benefits not only to nearby campuses of Bradford’s University and College but also to the wider city centre. 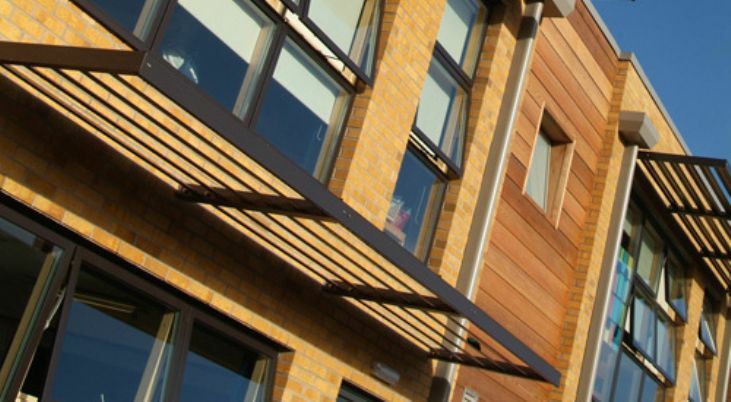 High quality student accommodation is very sought after. 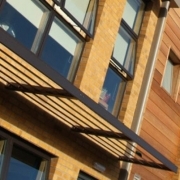 We have seen a transition in recent years from rooms in shared houses to high quality purpose built accommodation. The development recognises the proximity to the educational and cultural ‘offer’ close by and the potential to capture and encourage that activity. 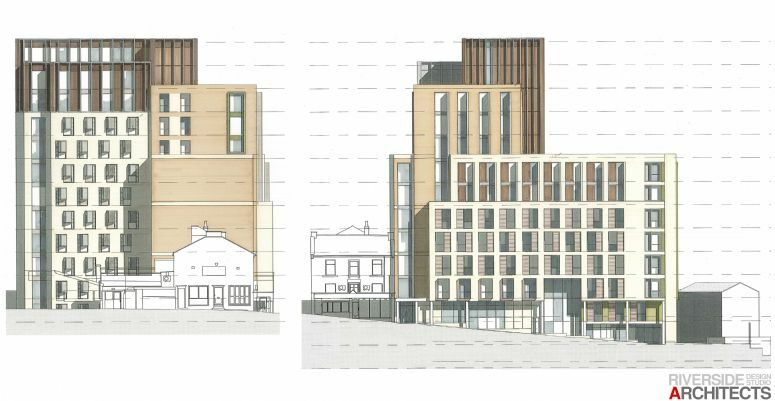 Our proposals indicate circa 265 new student bedrooms that include a mixture of accessible units and larger postgraduate studio flats. The main entrance is sited on Great Horton Road – the main thoroughfare running adjacent the site with a secondary entrance off Quebec Street helping bring pedestrian activity and transform what is now a derelict nightclub and bar into a vibrant new urban setting. The inclusion of ground floor retail / leisure uses should provide active frontage and compliment buildings such as the Alhambra Theatre. The site contains a Grade II listed building along Quebec Street which currently contains WC and cellar/storage areas of the former night club. 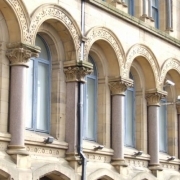 The former wool warehouse is one of the oldest buildings in Bradford city centre and survived the redevelopment of Bradford in the mid to late 19th century. Sadly the special interest of the building has been greatly harmed by loss of historic fabric and insensitive alterations. 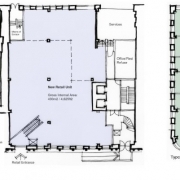 We proposed to refurbish it to include a ground floor cafe for the use of student residents as well as ensuring new additions treat it with respect and provide room to breathe. Our aim is to significantly improve the character and appearance of not only this building but also the wider conservation area. Over the last few months we have looked at various massing arrangements to ensure we respect the site’s sensitive surroundings. Building elements have been arranged primarily to reinforce the site edges, address boundary conditions and level differences as well as create an efficient design to ultimately ensure buildability. 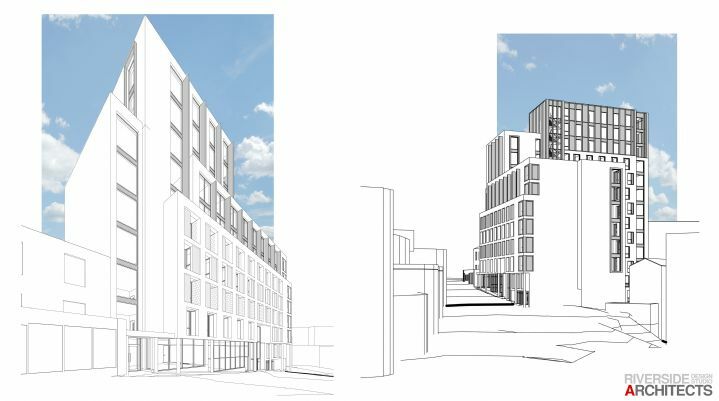 The proposals therefore vary in height to reflect immediate context, from the lowest point adjacent the listed former warehouse, to the higher ‘city block’ element on Great Horton Road which ties in with roof and fly-tower heights of the Alhambra. 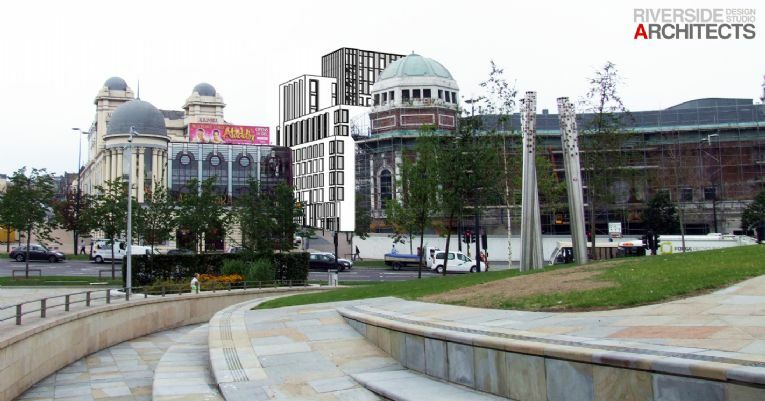 To minimise impact at street level the proposals step up towards a central tower dressed in metal and glass. 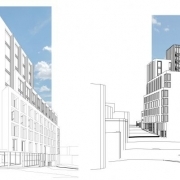 Due to its height the new building it will undoubtedly have an impact upon the wider area over and above that of the existing building and site. We believe this impact is a positive one. There are many examples of how quality modern architecture can sit successfully within a historic core, complementing in scale, mass and design. 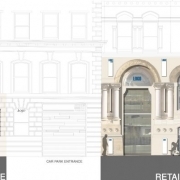 Hopefully you see that we have appreciated the sites sensitive context and tried to design a scheme that has a positive effect on the area and adds to the rich mix of buildings in the city centre. As part of our strategy we would like to canvas the opinions of the local community. If you reside or work in close proximity to the Alhambra Theatre and Bradford’s education campuses we would appreciate your thoughts. To do so please use the contact form here. Riverside Design Studio Architects will shortly be submitting a planning application for exciting proposals to refurbish part of the vacant office space at 47-53 Well Street into a new 55 bedroom hotel and ground floor leisure unit suitable for restaurant or perhaps some retail uses and to provide more active frontage. 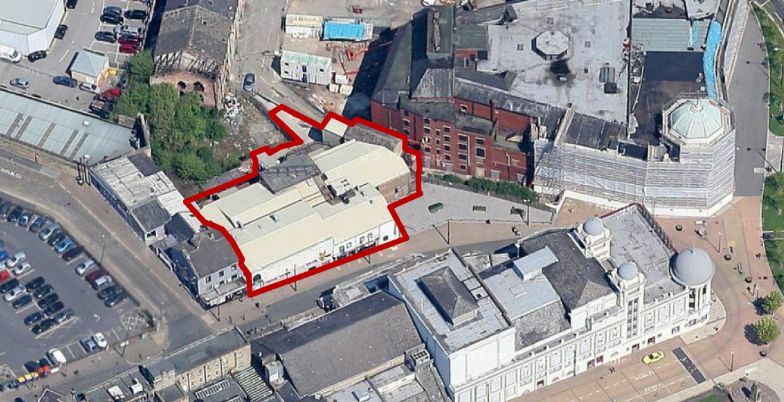 The wonderful Grade II listed buildings overlook the Broadway development site and we believe the new uses we propose will compliment any future development. 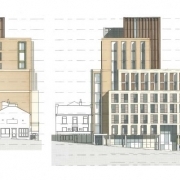 A new 55 bedroom hotel is proposed with a main entrance on the corner of Well Street and Currer Street facing one of the entrances to the proposed Broadway Development. 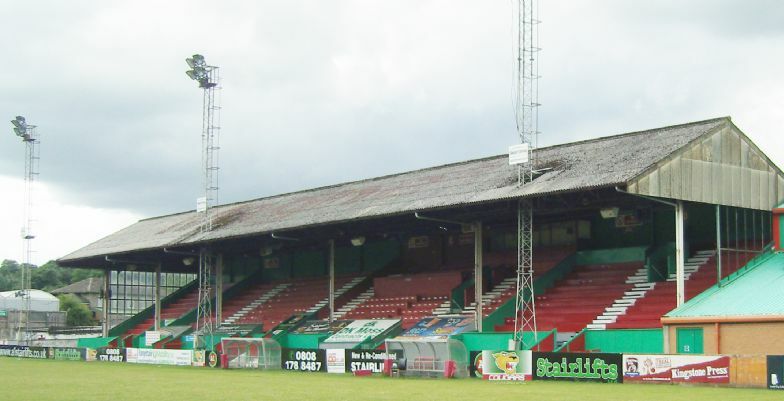 Other than signage and lighting no changes are envisaged to the external fabric of the buildings. Although nothing of heritage value remains internally bedrooms will be arranged around the existing stairs and lifts and laid out to suit to window positions. 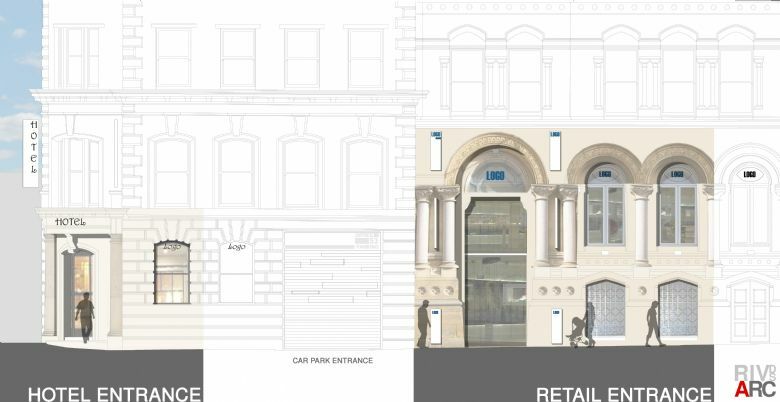 We propose that the existing office entrance is maintained with the upper ground floor re-organised to form new retail space accessed from Well Street. Whilst new uses could be introduced to the upper floors it is envisaged that office space could become more viable with minor reorganisation as well as the benefit gained from the adjacent Broadway shopping centre development moving forward. Conversion to other uses here is also difficult due to the deep floor plate without the introduction of major structural alterations to form light wells in the centre. 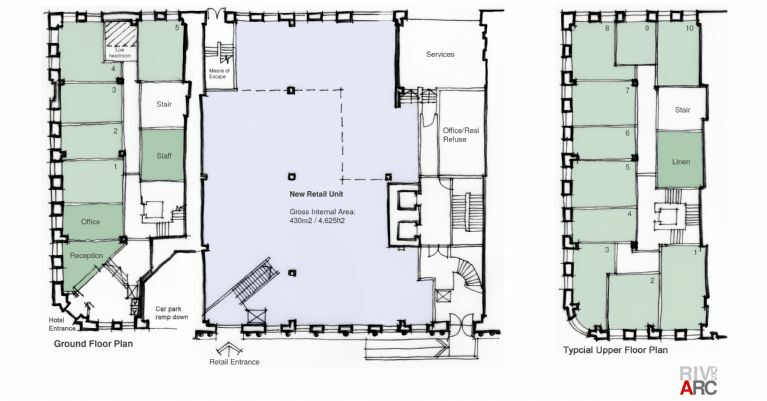 The new ground floor leisure space can be accessed by re-opening the storey high panelled timber doorway which mirrors the existing office entrance on Well Street. 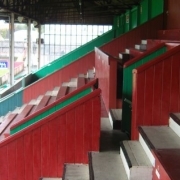 Measures to address the change in level between footpath and the higher ground floor will be required however and it is proposed that this is dealt with internally rather than affect any part of the building’s external appearance. We feel that the potential for hotel use will help bring life back to the building, create employment and increase the chances of securing more employment / office use on the upper floors. We also hope you agree. Proposals for an increased mix of uses will also complement the increased diversity of Little Germany. 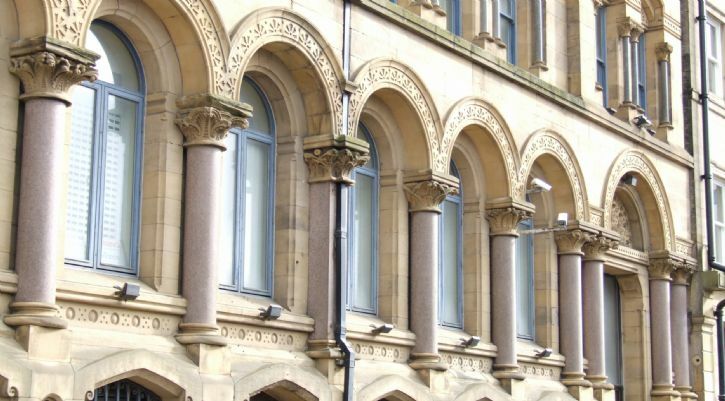 We believe that this can provide the best opportunity for Bradford to see this building brought back to life and the most cost effective way to ensuring employment opportunity within this property. However we would like to hear from you! If you are a local resident or stakeholder and have any comments on our proposals we are keen to hear your views. To do so please use the contact form here. 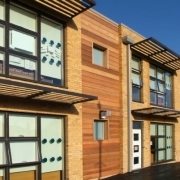 Riverside Design Studio Architects are delighted to have been asked to revisit Green End Primary School which was a project we were involved with when it was originally completed in 2006 as part of Manchester City Council’s Framework One initiative. We have recently submitted a planning application for proposals that include some internal remodelling and small extensions. 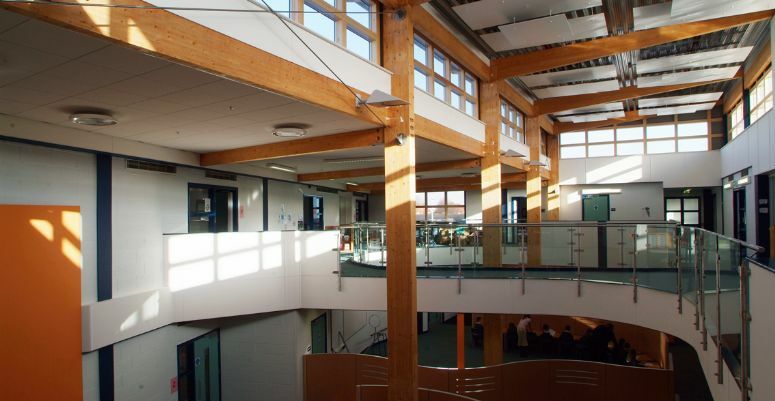 The current design team were involved on the original building as well as a 1st floor extension undertaken in 2011. 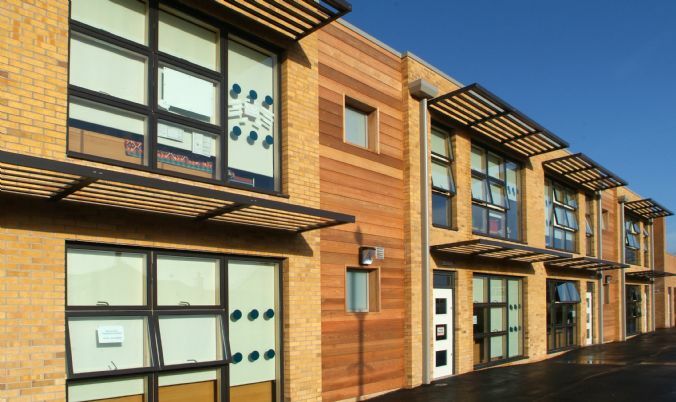 Being familiar with the original building design concept enabled any new designs align with the original design concepts whilst we also have an understanding of the pupil profile and the needs of the catchment neighbourhood. The main new school building was designed with sustainable principles to the fore both in terms of energy consumption and its daily use. 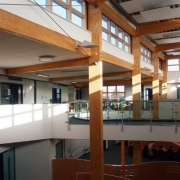 Highly Commended at both the 2007 SCALA Civic Building of the Year Awards and 2006 CIAT Architectural Technology Awards the school was designed around a central atria space, providing daylight and natural passive ventilation as well as creating an inspiring heart to the building. 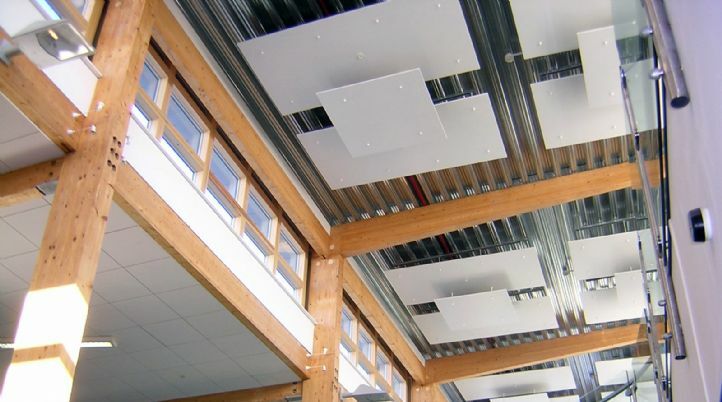 Internal spaces have the benefit of responsive dynamic lighting to all classrooms and Green End was one of the first UK primary schools to incorporate rainwater harvesting. 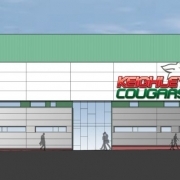 We now look forward to progressing the scheme further and bringing the school the new accommodation it seeks.